Lakota Ridge Senior Housing will be a 50-unit, 55 and up development in New Castle, Colorado, serving seniors with mixed incomes up to 60% of the Area Median. The project, with 40 1-bedroom/1-bath units and 10 2-bedroom/1-bath units is designed with the senior population in mind. Construction is expected to start in the spring of 2017. For more information regarding this property, click here. 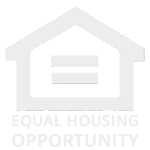 The Garfield County Housing Authority has closed the waiting list for eight (8) Project based units at Lakota Ridge located in New Castle, CO.